Rahul, who was kicked off India’s tour of Australia in January with teammate Hardik Pandya over sexist remarks, made an unbeaten 100 off 64 deliveries. Rahul’s knock comes at an opportune time with the Indian selectors scheduled on Monday to announce their squad for the 50-over showpiece event in England and Wales beginning next month. 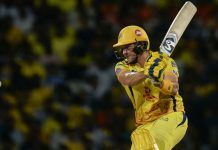 He is the fourth batsman this IPL season so far to score a hundred after Indian Sanju Samson, England’s Jonny Bairstow and Australia’s David Warner. “I like him as a batsman. He has got great technique, he has got a lot of style,” said West Indies batting great Brian Lara on Star Sports. 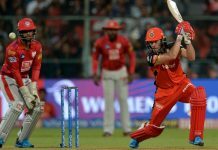 Rahul, who has two international T20 hundreds, put on 116 runs with opening partner Chris Gayle, who hit 63 off 36 deliveries to lay the foundation of their team’s 197-4. Mumbai’s stand-in-skipper Kieron Pollard hit 83 off 31 balls, including three fours and 10 sixes, to help his team chase down their 198-run target on the last ball.